The characteristic Hemmerle element of subtle surprise emerged in 2004 in the form of charming, characterful brooches depicting different, lifelike species of mushrooms, exquisitely modelled and capturing earthy woodland tones and textures. 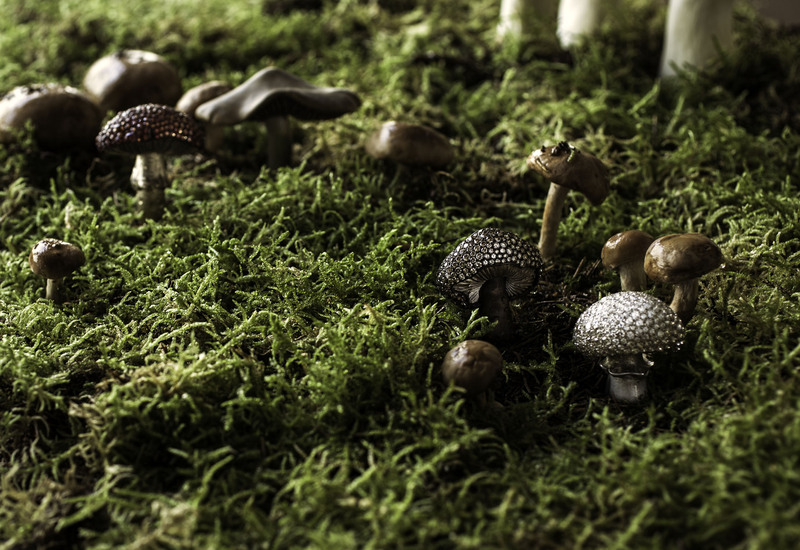 There is an air of magical realism about the mushrooms, a strange, wild beauty which fascinates the observer instantly. Stefan Hemmerle is a born designer, one that lets the inspirational moment dictate the next idea.